The Clinton Community Christian Corporation (4C’s) is a non-profit, tax-exempt social service agency organized to create awareness of some of the needs in our community and to coordinate available resources and efforts to meet those needs. The 4C’s is governed by a Board of Directors chosen from the community. The agency encourages involvement of in individuals with one another on a personal level, and seeks to help the community of Clinton respond with God’s love to the needs we see around us. The 4C’s is an outgrowth of helping efforts of students at Mississippi College. 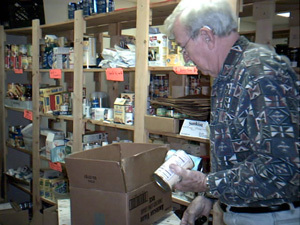 Beginning 1971, they helped families with essentials of everyday living such as food, clothing, and housing repairs. The agency was officially chartered in November 1974.